You receive a warm welcome. Hands-on affordable quality cooking experience. Comprehensive notes and recipe booklet. Leisurely lunch of the delicious dishes cooked in class with complimentary matching wine. Culinary diversity for everyday dining and entertaining. Discover the rich culinary diversity that is Spanish Tapa (often referred to as Tapas). In this Introduction Class you will learn about the culture and history of Tapa together with fundamental ingredients and cooking techniques. Learn how to incorporate Tapa into your everyday dining and entertaining with our authentic menu that takes you on a journey from the simplest Tapa through to more complex dishes. Share in the delicious dishes cooked in class. One of the first of Sylvia’s highly popular Adult Ed classes since 2007. Get a taste of this highly creative style of food that is quintessentially Spanish. 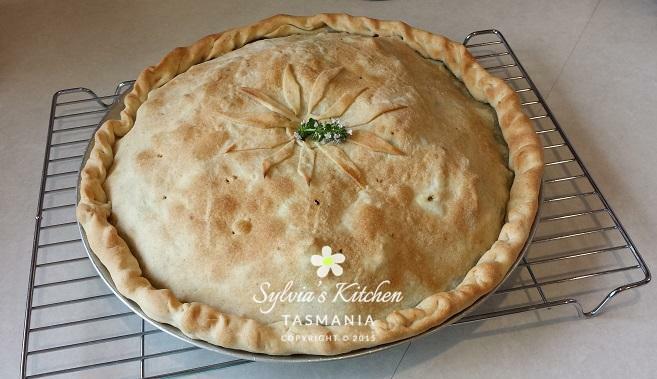 Sylvia’s Torta di Verdure – Just one of the dishes you will cook. 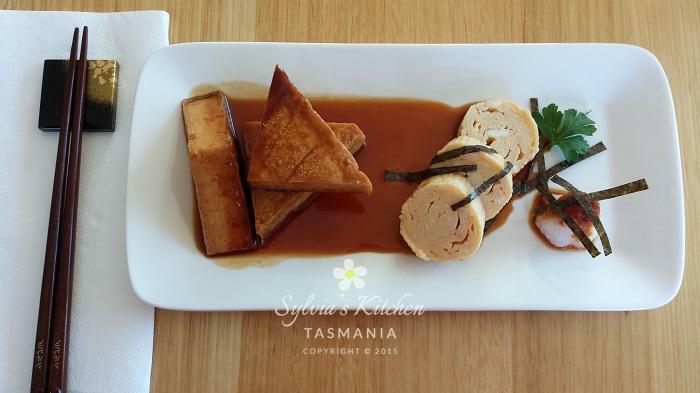 Enjoy a great time learning to cook a sensational seasonal menu inspired by fresh Tasmanian produce. Delight in learning skills and beautiful versatile recipes using Swiss chard, silverbeet, ricotta, pumpkin, potatoes, mushrooms, fresh herbs from the kitchen garden and more. Prepare sublime olive oil pastry to make Sylvia’s special ‘Torta di Verdure’ followed by various seasonal dishes to share at lunch. Popular class since 2009. Suitable for vegetarians, meat lovers and those wanting to get the best out of this season’s produce. Learn to cook like a true Japanese with these delicious dishes that you can easily prepare for every day dining or impress your guests with Japanese style entertaining. Inspired by culinary study, cooking and travel experiences this introduction class will help you understand essential ingredients and different cooking styles. Learn about the origins of Teriyaki. Prepare a tender beef steak flavoured with an authentic Teriyaki sauce with accompanying dishes. Share a generous lunch with your fellow food lovers of the delicious dishes cooked in class. Engage in practical hands-on skills to help you create easy and elegant authentic Japanese cuisine at home. Come and join us for an inspiring Japanese food experience! Includes Saké (Japanese rice wine) appreciation tasting. A very special class! Indulge you senses in a unique experience. Indulge your senses in the beautiful tactile and sensory experience of making fresh pasta from Emilia Romagna that Sylvia has been making since she was a child. 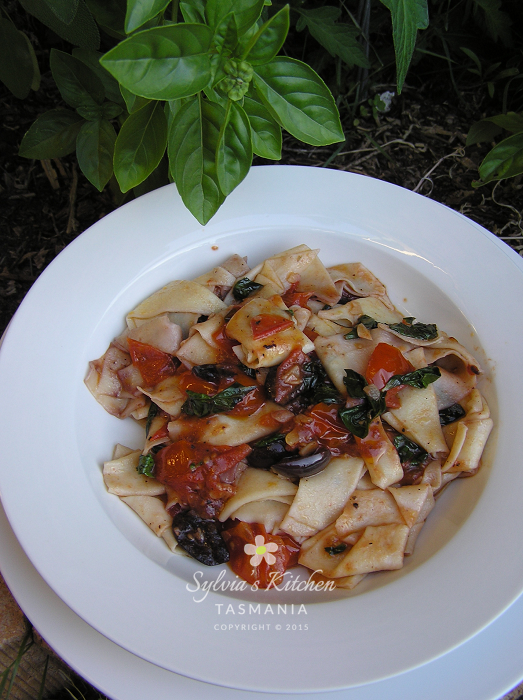 You will learn to prepare Tagliatelle and Fettuccine. Cook delicious sauces to accompany your freshly made pasta. Share a lovely lunch after the class dining on the beautiful food you created. Learn about different types of fresh pasta and what to look for if you are considering purchasing a pasta machine, its care and maintenance. Come along for a unique experience! Very popular class since 2009. So you can enjoy using a truly sharp knife we will also sharpen up to two knives at no extra charge. Good knife skills are a must! You cannot cook efficiently without good knife skills and they make cooking a breeze. In this fun class we will help you by sharing our professional experience and teaching you hands-on how to become an accomplished cook by just using a sharp knife and chopping board. We will chop, dice and slice our way through fresh produce to create delicious dishes to share on the day. Learn which knife to use for what task. How to hold and use a knife correctly. What to look for when buying a knife. How to keep them sharp. Ideal class for beginners, couples or anyone for that matter. Includes knife sharpening. Be enchanted by this exotic cuisine. Be enchanted and experience the exotic flavours and aromas of this magical cuisine. 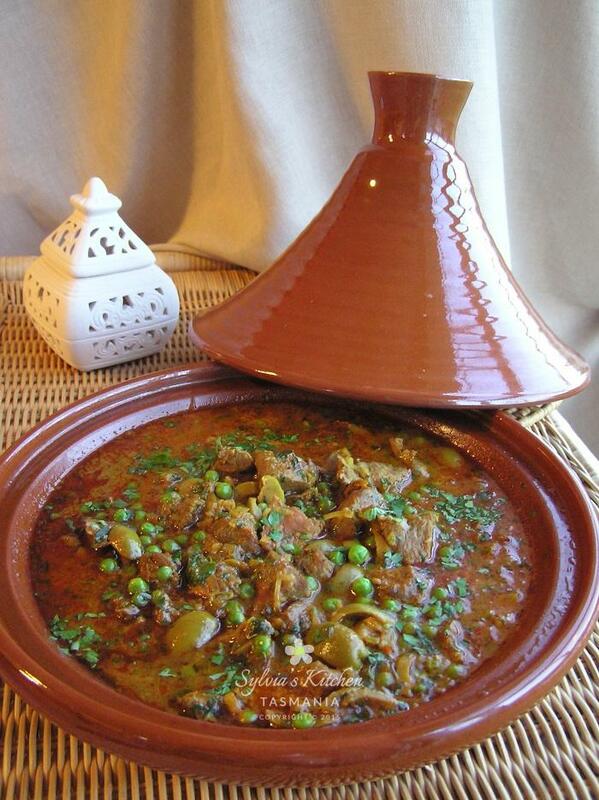 You will learn essential preparation skills and cooking techniques to create a luscious Tagine of Lamb that you can easily re-create at home. Learn about the history and culture of Moroccan food. Receive practical advice on fundamental ingredients, cooking techniques and kitchen equipment. To complete our shared meal, experience the simplicity of a fragrant Moroccan Milk Pudding. One of Sylvia’s most popular classes with Adult Ed since 2006. Come and indulge your senses! Simply beautiful Tasmanian seafood experience. 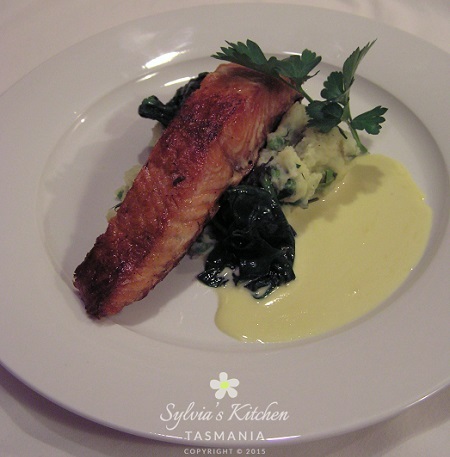 Enjoy a Tasmanian Seafood Experience with a difference. In this special hands-on cooking class you will learn about a variety of seasonally available fresh local seafood and prepare a five course degustation menu that you can easily re-create at home. 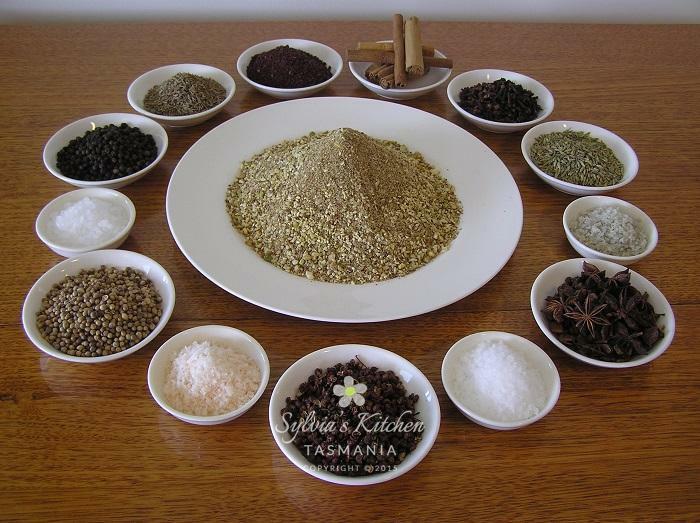 You will cook with fresh Tasmanian seasonal ingredients to flavour your simply beautiful seafood dishes. After the class relax and enjoy dining on the delicious dishes you created with complimentary matching wine. 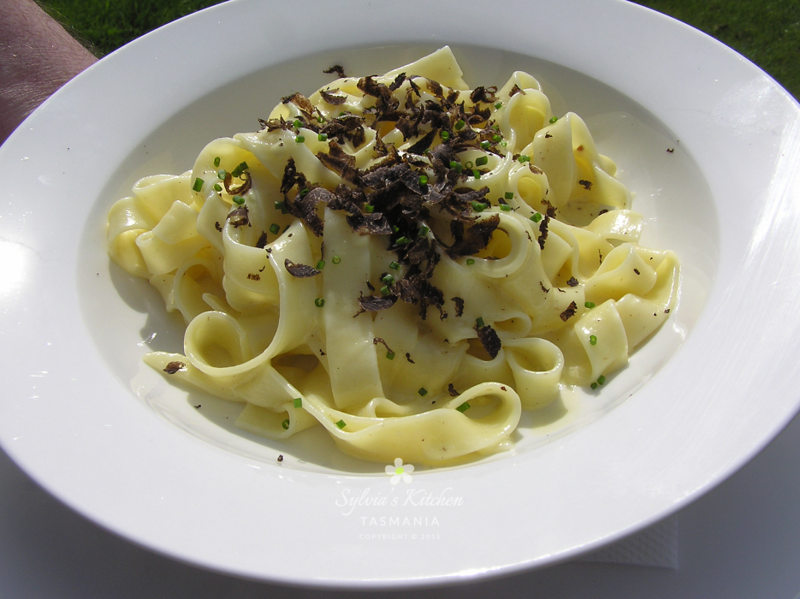 Simply sublime pasta with Tasmanian truffles. 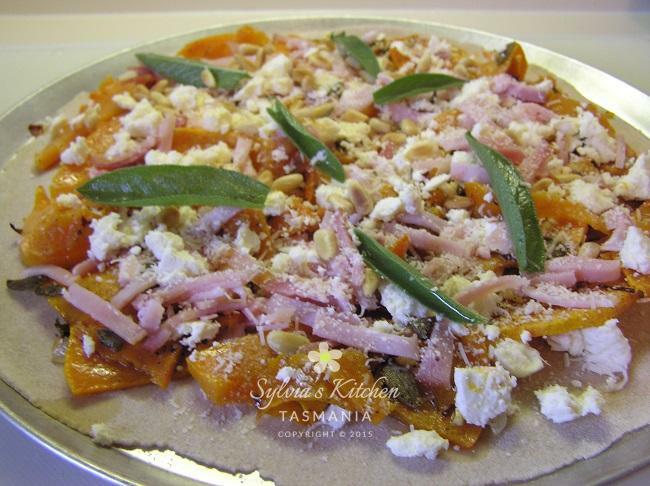 Enjoy a personalised Tasmanian Food Experience with a Handmade Pasta cooking class with a difference. You will experience a personal Truffle Farm visit (subject to availability), truffle tasting and cooking with truffles. Indulge your senses in the beautiful tactile experience of making fresh hand-made pasta. Cook delicious sauces to accompany your freshly made pasta. After the class enjoy dining on the delicious dishes you created with complimentary matching wine. A very interesting, informative and enjoyable class. Classes below will be scheduled in the coming months. Are you interested in one? Please don’t hesitate to contact Sylvia here to discuss a Private Class or upcoming dates. Spice up your cooking skills. 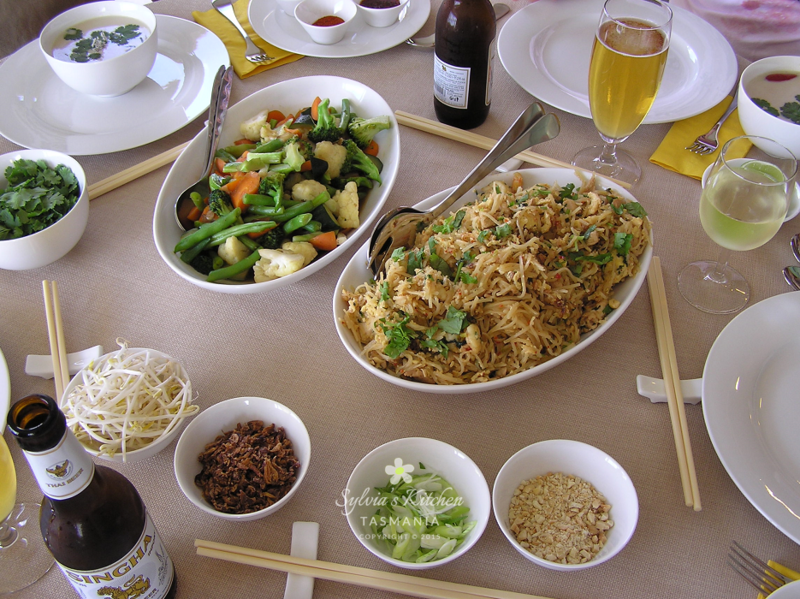 Spice up your cooking with a fragrant spice filled Chinese cooking experience! Learn about spices used in Chinese cuisine and how to prepare your own spice mix from scratch. Master skills and techniques and cook a mouthwatering meal to share with spice mixes you prepared in class. Learn what to look for when buying spices and how to store them. For those who enjoy cooking with spices or want to learn more. Come and spice up your life! Cooking fabulous fish dishes is easier than you think. Get your dose of essential Omega 3 and more from fabulous fish dishes. For those who love fish but want to perfect their cooking of this essential food for good health and well-being this class is for you. 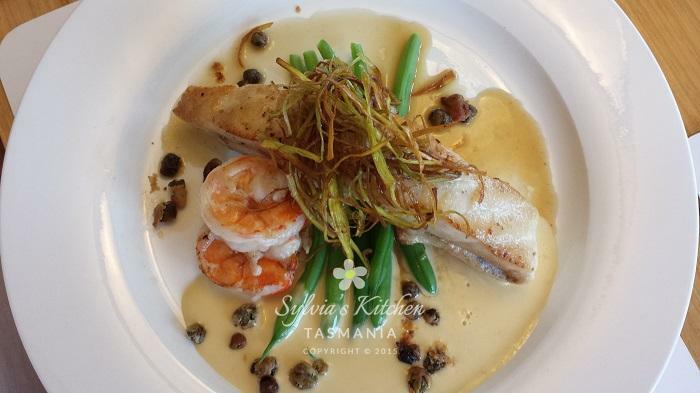 Gain confidence in preparing a variety of fresh Tasmanian fish in a number of deliciously inspiring restaurant quality dishes you can easily re-create at home. Learn valuable skills of successful fish cookery. What flavours go with what fish. How to cook creatively with fresh fish and still keep it simple. At lunch dine with your fellow food lovers on the fabulous fish dishes you created in class. Everyone will enjoy these fresh fish dishes using the wonderful produce from the sea which is so bountiful in this island state. Ideal class for those who attended Knife Skills 1, beginners or anyone for that matter. Includes a meal for two to take home. The next step in knife skills! In this fun class we will teach you hands-on how to master the skills of boning. 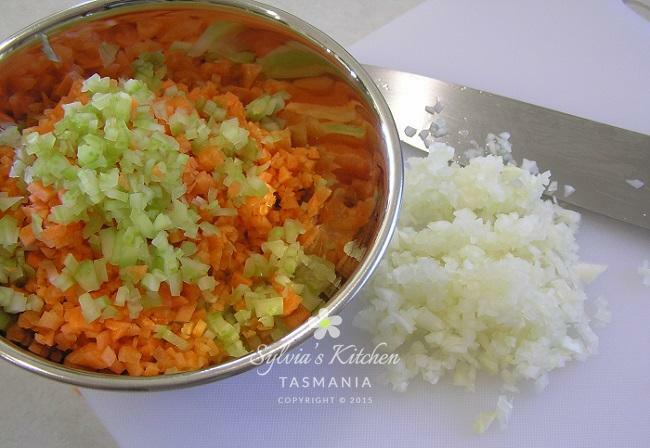 Learn how to use a boning knife easily and effectively. 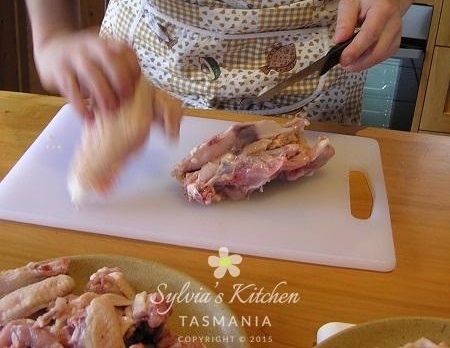 You will de-bone and portion whole poultry so that at the end of the class you will feel confident enough to achieve this at home with ease. You will also learn how to prepare a variety of delicious dishes using different cuts. Share a lovely lunch on the day plus take home fresh meals you prepared in class. There will be no costly waste and you will have learnt valuable skills to last you a lifetime. Practical skills, economical advice, delicious flavours and great recipes! This class has formed part of Sylvia’s one-on-one cooking coaching since 2006. In this practical class learn saucing skills and indispensable sauce recipes. You will learn to create sauces that are easily adapted to a wide range of dishes and prepare a variety of delicious meals that show the versatility of these sauces and dressings. Then sit down to a shared meal and enjoy the fruits of your labour. A great class for singles, couples, a group of friends or anyone who wants to turn a plain meal into something special! Enjoy a relaxed hands-on Pizza cooking experience with a difference! Cook pizzas like a real Italian. Then dine on your freshly prepared perfect pizzas. Learn about basic yeast cookery and how to prepare our easy pizza dough, which you can freeze and have ready for quick weekend pizza nights at home, using Sylvia’s special blend of Tasmanian Callington Mill flour. Make a variety of delicious fresh gourmet toppings, bake your pizzas on the pizza stone, then enjoy dining on the perfect pizzas you created with complimentary Italian wine. Sounds like fun? It is! No more take-away pizza. Buona! Ideal casual entertaining for summer and autumn. Enjoy an exotic Thai cooking experience and barbeque lunch! You will learn about Thai food, fundamental ingredients and cooking techniques. Learn how to prepare an easy authentic Thai marinade using turmeric and fresh herbs, rice flavoured with coconut and Kaffir lime leaf and a delicious Thai vegetable dish followed by a fresh and easy Thai dessert. All of which you can easily prepare at home with local ingredients. These dishes are not ‘hot and spicy’ they are fragrant and flavoursome. Share a generous lunch with your fellow food lovers of the delicious dishes cooked in class. Come and join us for a Thai food experience that will surely inspire you to cook Thai food more often! Treat yourself to a unique and fun experience. Men love this too. Enjoy a fun hands-on cooking experience! Learn how to make fresh handmade pasta in a beautiful tactile class featuring traditional Italian food from Liguria. Ligurian pasta is different to pasta from Emilia Romagna. This is the most sublime and silkiest pasta you will ever taste. Prepare artisan Pesto using a large mortar and pestle. Cook authentic mouth watering summer sauces to accompany your freshly made Ligurian pasta then share a traditional Italian lunch with complimentary matching wine. Ideal for couples or a group of friends. 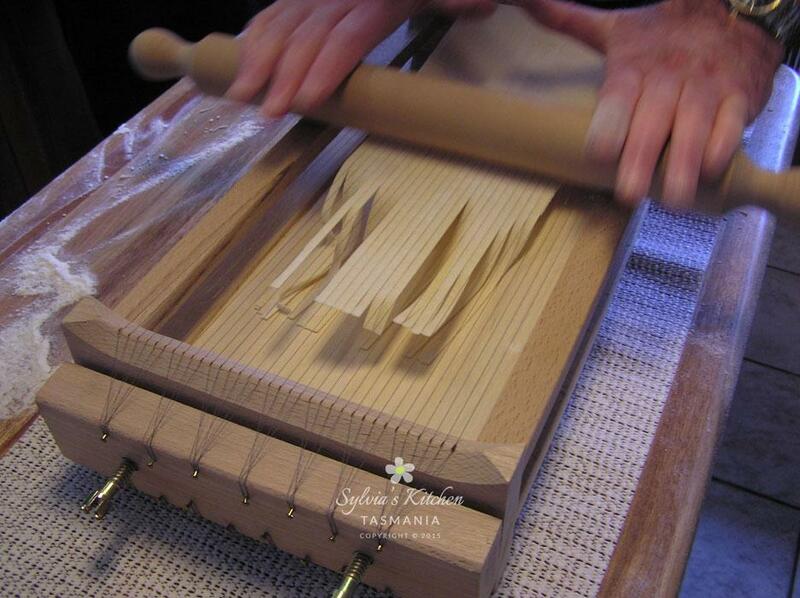 Handmade pasta is one of Sylvia’s specialty classes since 2009. Enjoy a fun cooking experience! Learn hands-on how to prepare, bake, and of course, eat our delicious Italian flatbreads, Piadina and Crescenta, which became famous at our boutique country restaurant The Peacock Inn. 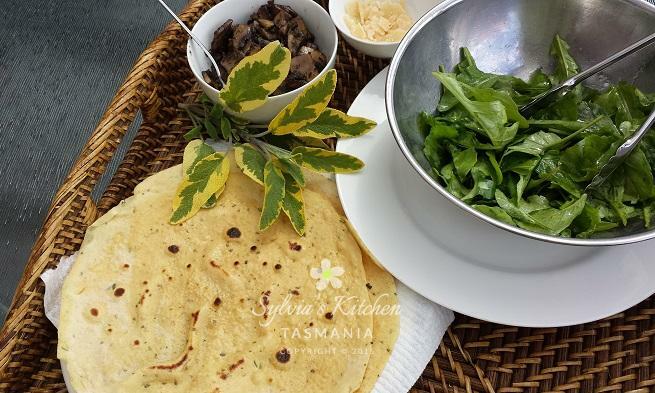 You will learn skills and techniques in how to cook flavoursome fillings using fresh local Tasmanian produce and edibles from my kitchen garden. Share lunch of the delicious dishes you cooked in class and discover regional specialities from Emilia-Romagna. These flatbreads are ideal fun holiday, weekend or everyday food! Suitable for Vegetarians too. Perfect Autumn and Winter cooking. 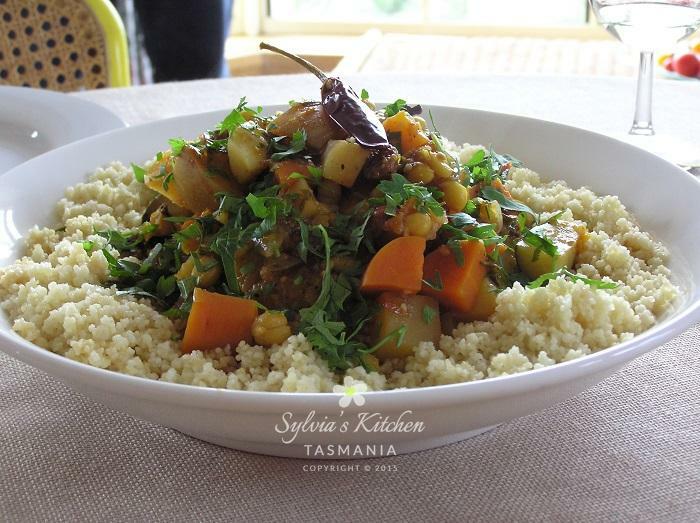 Immerse yourself in a beautifully fragrant Moroccan cooking experience! Learn how to prepare Morocco’s famous Couscous dish from Fez. Master skills and techniques and cook a delicious Moroccan meal you can easily create at home. Learn about Moroccan flavours, ingredients and techniques. Revel in the delights of Moroccan cuisine and share the fruits of your labour in a sit-down lunch with a difference. Available as Gluten Free class using Quinoa – please advise at time of booking. Embrace one of Thailand’s national dishes! Enjoy a mouth watering cooking experience with a difference in this Thai Menu. 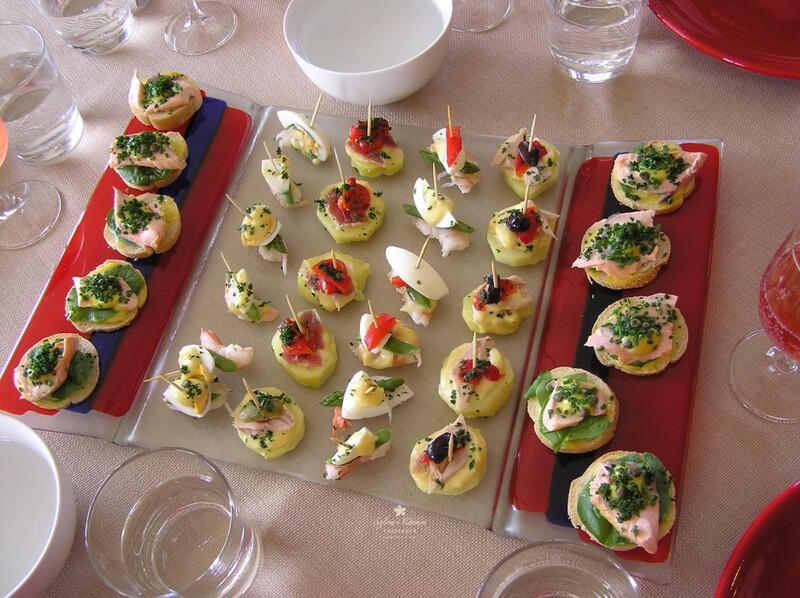 Share the delicious dishes you cooked in class with complimentary refreshments. Master skills in cooking the perfect Pad Thai, Chicken Coconut and Galangal Soup and Thai stir-fried vegetables all of which you can recreate at home with ease. 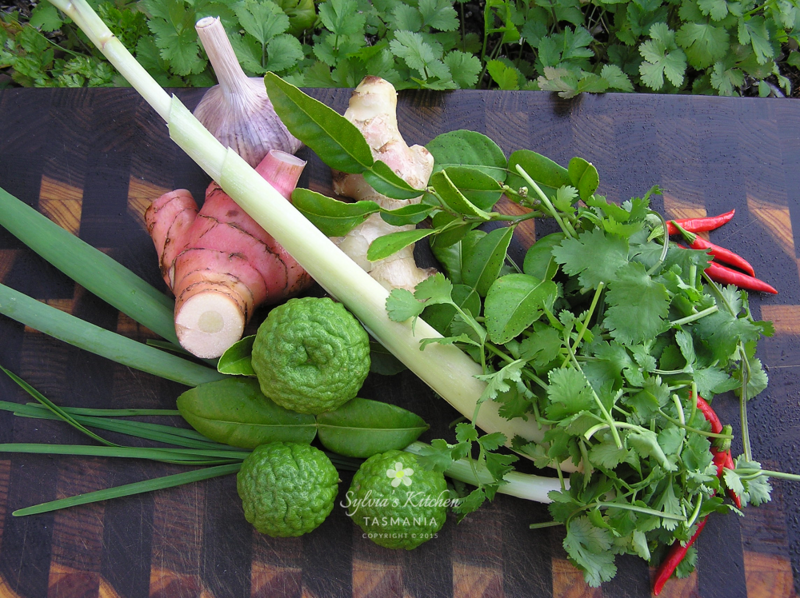 Learn about Thai ingredients, herbs and cooking techniques to perfect your skills. Be inspired by the irresistible aromas and flavours of Thailand, once again! Excellent pastry without the fuss. Are your pastries too soggy, too crumbly, fall apart? Learn hands-on and master skills and techniques of excellent pastry cooking. Learn about different types of pastry. Get tips and tricks to make successful pastry baking a breeze. I will also share my personal recipe for a perfect no-blind-bake pastry. Prepare deliciously successful savoury and sweet tarts you can be proud of. Enjoy a shared lunch of the delicious dishes cooked in class with complimentary matching wine. Sylvia’s Cooking Class are available as an exclusive Private Class for a minimum two persons or couple at a small additional cost. Choose from any of the classes in the Cooking Class Timetable. Contact Sylvia for pricing and to book. 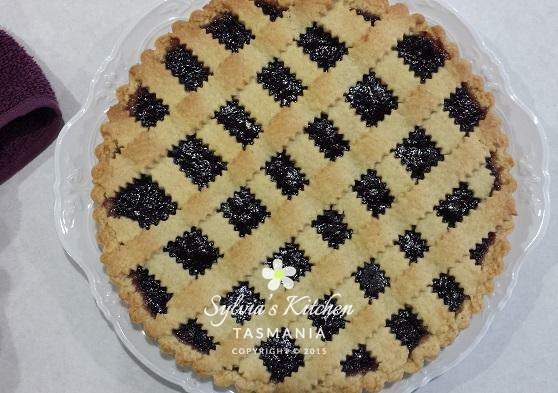 Click here to find out what you can expect from your cooking experience with Sylvia.